Happy Birthday... to me!!!! Eek, I'm 33!! It's my favorite day of the week! Friday!!! The beginning of the weekend and nail files! Don't forget to go link up with Tara & Vicki! I'll start with what's on my nails today. It's my birthday mani! Had to be pink (because it's me and there had to sparkles a.k.a. confetti!!). Love this!! The beginning of the week I wore Cherry Crush by Revlon. A nice red shimmer. 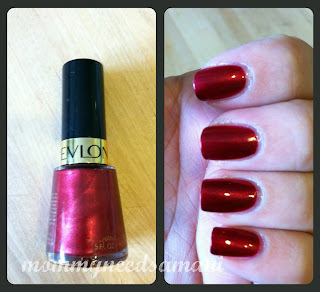 I love the color, but I really dislike the formula with Revlon. It always bubbles. 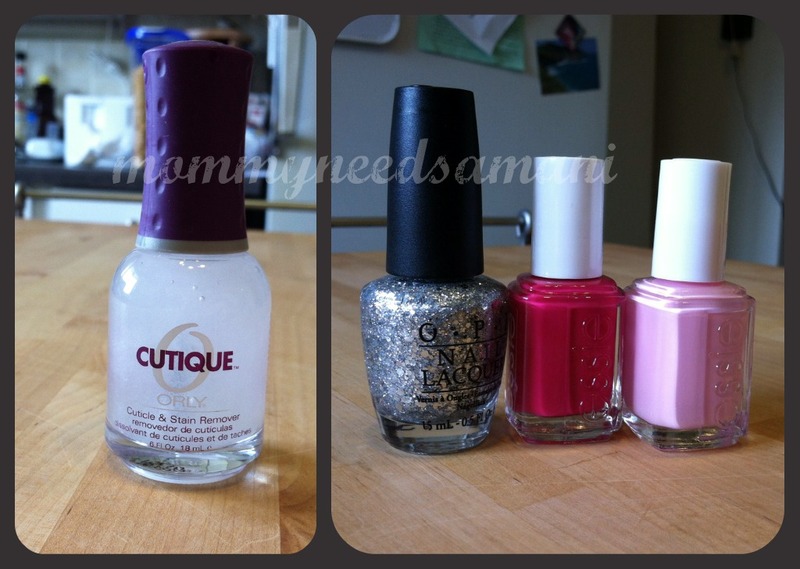 However, I have learned that using my Essie Good to Go saves the Revlon polishes I have. It smooths it all out and I get a nice smooth shine-y finish- no bubbles! My purchases from this past weekend. I've used it once. It seemed to work. Bachelorette Bash by Essie- gorgeous magenta color. Really like this! Today is my birthday, as I announced already. I'm making a strawberry cake with vanilla buttercream icing. If it turns out well, I'll share it. And then for dinner I'm making calzones. Everything from scratch. Kinda feel like an idiot for creating so much work for myself. AJ offered to buy a cake and take me out to dinner. Oh well. This is what I wanted! And then... I'm making the kids watch Goonies with me! I heart that movie! I'll share birthday presents at the end of the weekend. Happy Birthday, lady! Hope your day is wonderful and relaxing! Love your manicures! They look awesome! Today is one of my boys birthday! It is a great day to have a birthday :) I hope your day is fabulous! Happy Birthday!!! Your color choices are perfect. You have BUTIFUL nails! Wohoo! Happy birthday! I LOVE Crown Me Already, too! I need that Crown Me Already asap! The other colors are all pretty too (: Happy belated Birthday!